Welcome to all of you to our Chevrolet Classic Car Showcase page. Over the years, our company has fixed up quite a few wheel covers for classic cars and we figured it was about time to show them off. Some of the work that our restoration department does still baffles our customers, they are always blown away by how new and pristine that these vintage hub caps can look with a little TLC. Chevy has produced quite a few cars that are still remembered and being fixed up today since it’s founding in 1911. This particular make is one of most known because of the variety of muscle cars they produced for the masses. For all of you with these cars, come to the home of over 1 million hubcaps and get all the help that you need! You don't want to miss out on the opportunity to see an award winning beauty of a classic car like this! Recently we restored the customer's 55' Chevrolet Bel Air hub caps and as you can see, he couldn't be happier with the quality of the work. Check it out! 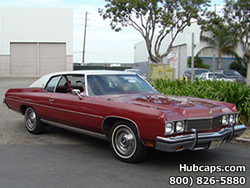 Don't miss out on the chance to see our customers 73' Chevrolet Caprice and it's restored hubcaps! Remember, we can do the same for any of you! Click for the full story! 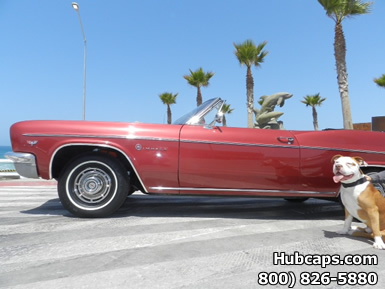 Check out the beautifully restored 66’ Chevrolet Impala that we recently outfitted with a set of wheel covers from Hubcaps.com! In near factory condition, this amazing vehicle is a must see! Click for more info! 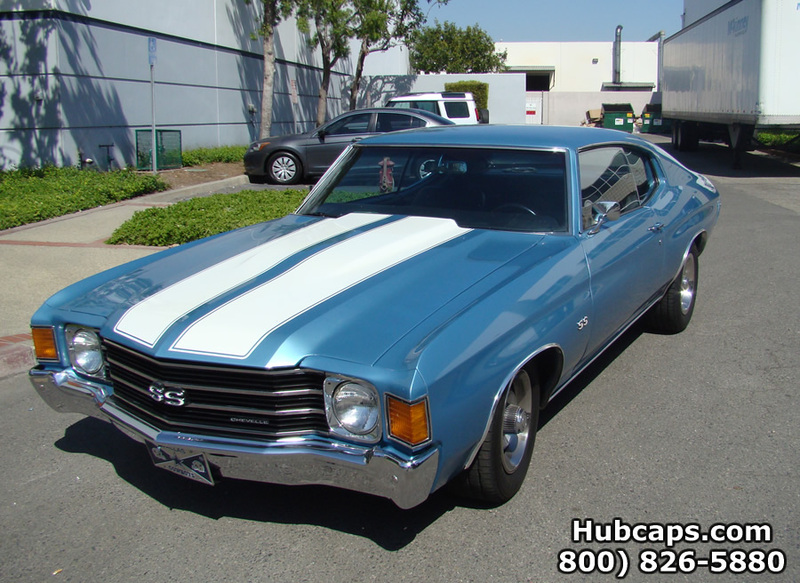 Get a look at this gorgeous 72’ Chevrolet Chevelle and its awesome new set of wheel caps! Baby blue and a jaw-dropper, this vintage car was a pleasure to aid on her road to restoration! Click here for more details!